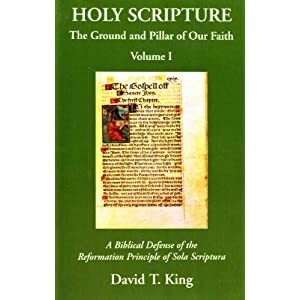 Crypto-Calvinist is a term for people within the Lutheran tradition who affirm the confessions of the Evangelical Lutheran tradition, i.e the Book of Concord, but understand them with a Calvinistic bent. This is in reference especially to the sacraments. Now, James, you know me well enough to know I'm not THAT stupid! Andrew got it pretty much right. Crypto-Calvinism refers specifically to the period of time after Luther's death to the adoption of the Formula of Concord in 1574 when there were professors and teachers in the German Lutheran Church that had embraced views on the Supper that were in line with Calvin's spiritualizing of the Real Presence, the whole "my soul ascends to feed on Christ but my mouth eats only bread and wine." etc. etc. That's what I thought you meant Paul. By the way, Gene Veith has an interesting article at the top of his blog, a review of Steven D. Paulson's Lutheran Theology. James, bring some green-jello or a "hot dish" for the pot luck. They wont suspect a thing. Beware. The coffee will be terrible. Drink it anyway and don't let on that its killing you inside. And last but certainly not least, DO NOT draw ANY attention to yourself at any time. Doing so would certainly give you away. We Lutherns don't cotton to that kind of thing. Observe these simple cautionary tips and you will go undetected.